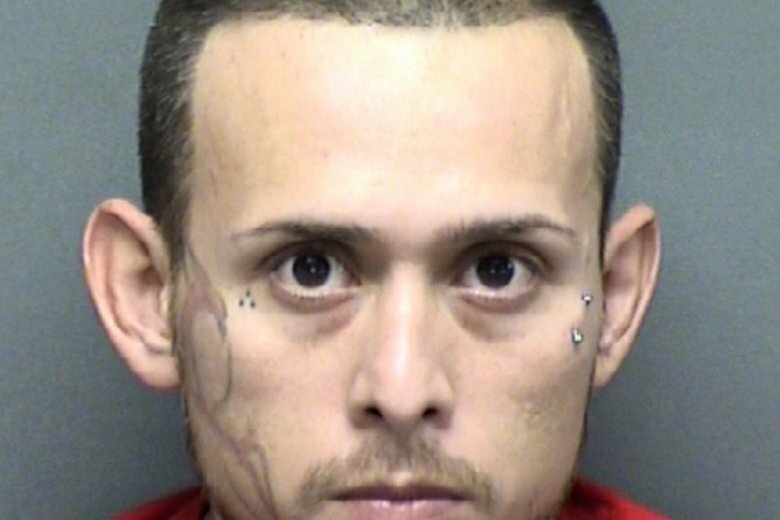 SAN ANTONIO (AP) — A San Antonio father staged the abduction of his 8-month-old son in a fake car theft plot to cover up “foul play,” and the infant has still not been found, police said. The baby’s father, Christopher Davila, was charged with child endangerment hours after reporting Friday that his son, King Jay Davila, was in his car when the vehicle was stolen. “We believe that the story of the kidnapping was made up, made up to cover up foul play involving King Jay Davila,” Police Chief William McManus said Monday night . “Ask yourself why would someone concoct such a story,” McManus said. Investigators said the 34-year-old Davila reported he had left the vehicle running and unlocked when he went into a convenience store. Davila’s vehicle was found later Friday in a park a few miles from the store. Davila, who was released from jail on bail Saturday, denies being involved in King Jay’s disappearance. The boy’s mother, Jasmine Gonzales, is engaged to Davila. She has said he is innocent. McManus said the woman who took the vehicle is a cousin of Davila and that she’s been arrested on an unrelated offense. Police on Tuesday identified her as 45-year-old Angie Torres, who was arrested Monday on an aggravated robbery charge. According to an affidavit, she’s accused of stealing razors from a Dollar General Store on Sunday and kicking an employee who tried to stop her. She has not been charged in King Jay’s disappearance. Court records don’t list an attorney for Torres.